Naveen Patnaik government is certainly in offense against Orissa. It has committed such a diabolic crime that blood boils in agony. But before coming to that, let me look at a series of crimes perpetrated by his government against our people so far. Ever since he has taken over as Chief Minister, numbers of offenses against the people of Orissa have increased. As for example, displacement of indigenous people at the behest of industries from beyond the boundary of the State has increased. Deleterious acquisition of the State’s natural resources by dubious industries, shunned even by foreigners, has increased. Downright robbery of mines and minerals has increased. Denudation of forests by timber mafia has increased. Dissipation of funds both in plan and non-plan sectors by the blue-eyed boys of ministers concerned has increased. Disproportionately high concentration of wealth in hands of employees dealing with industries, education, irrigation, works, urban as well as rural development, health care and welfare programs has increased. Discernible but sudden shine of first generation richness amongst Ministers, MLAs and MPs has increased. Dishonesty in administration has increased. Discrimination against honest officers vis-a-vis crooked ones has increased. Deliberate disobedience to just orders of judiciary by the executive has increased. Disability of courts to punish criminals due to lack of diligent prosecution has increased. Dirty tricks of implicating dissenters in false criminal cases has increased. Death in mass scale due to diarrhea and cholera under condition of continuous slow starvation and want of drinking water has increased. Deliberately cultivated disquiet in academic campuses has increased. Degradation of democratic practices in the Assembly marked in the government’s determined efforts to evade answerability has increased. Disrespect to Orissa’s mother-tongue in administration has increased. Dilapidation of cultural heritages has increased. Deplorable communalization of the two most revered universal icons of Orissa: Sri Jagannatha (Buddha) and Sri Jay Dev has increased. Despotic attack on media has increased. Distress sale of paddy by helpless farmers has increased as has increased the number of their suicide. Distress sale of body by poor girls has increased. Distress sale of baby by wretchedly poor parents has increased. These and many other serious crimes have increased in Orissa as the number of years of incumbency of Naveen Patnaik has increased. But these are small crimes compared with the most diabolic crime that Naveen Patnaik’s government has committed through its Police in the midnight of 7 February 2011 at Gada Rodanga under Brahmagiri Police Station, Puri. In the midnight, a pack of around 20 police personnel led by Bhubaneswar DCP Himansu Lal reached there and stormed into the house of the most venerated Buxi Jagabandhu Bidyadhar, where his descendants are living. They hurled abusive words sans any qualm at them and robbed his sword and armor while whisking away a guest of the family, Ramesh Jena, MLA of Sanakhemindi, who is known as quite a strong political antagonist of Chief Minister Naveen Patnaik in his district of Ganjam, proven by the fact that despite the CM’s sway in the district, he, as a Congress candidate, has been elected to the Assembly. Jena says Police is framing him up in false cases at the behest of the CM. According to Police, the raid was necessitated to drag Jena back to books as he had jumped the condition of bail in a prosecution case that had restricted his movement beyond Bhubaneswar without knowledge of the DCP. Besides, in a recent case of firing at his flat where a police constable, officially in charge of his security, had shot at other police personnel during a raid to apprehend anti-socials allegedly harbored there, Police was to pick him up. Lalatendu Bidyadhar Mohapatra, a descendant of the venerated Buxi, also a working President of Orissa Pradesh Congress, who was Jena’s host in Gada Rodanga, says with utmost emphasis that DCP Lal was duly informed of the MLA’s stay at his place. On 2nd February 2011, Jena had informed the DCP in writing that he would stay in Gada Rodanga till 7 February and from there he had also requested the DCP to allow him to extend his stay by three more days till the 10th. Thus when Jena was not an absconder, he was also guarded by three police constables officially engaged for his security. Therefore there was no necessity of raiding his house in the midnight of February 7, Lalatendu says. The legality or illegality of the midnight raid is a matter to be determined by law. But to me, any irreverence shown to Buxi Jagabandhu Bidyadhar is certainly an offense against Orissa. Sad, Orissa Government is guilty of this offense. Though yet unrecognized, Buxi Jagabandhu Bidyadhar was the real father of Indian fight for freedom. The first people’s movement for freedom from British yoke was conceived and led by him. Orissa was the last land to be annexed by the British in India. But, yet, she was the first land in whole of India to battle against the British for freedom. This truth is recorded in British historian G.Toynbee’s ‘A Sketch of the History of Orissa’ where he says, “It was not long, however, before we had to encounter a storm which burst with so sudden fury as to threaten our expulsion, if not from the whole of Orissa, at least from the territory of Khurda”. Matchless militia of Khurda had raised this “storm” of “fury” in support of Buxi Jagabandhu after his estate was treacherously encroached upon and Buxi expanded it for protection of his emperor’s sovereignty to free motherland Orissa from foreign yoke. Earlier in 1804, the violent resistance raised by Jayee Rajguru had failed. Buxi had deeply cogitated on that failure and had developed a new technique to battle against the British. This technique was unique and his own. He had taken to his confidence many muslims thereby both the major religious networks were united for freedom of the motherland. He then had drafted his unique strategy of non-violent non-cooperation with the British. The sacrifice of Buxi’s intimate associate, the Dalabehera of Tapanga is a classic instance of non-violence adopted by the Paiks of valor under the leadership of Buxi. The Report of the Joint Magistrate of Khurda, W, Forrester, dated 9 September 1818 to Commissioner Robert Ker admits that the non-cooperation movement had “completely put a stop to the collection (of revenue) etc”. The people, led by Dalabeheras (group or clan heads) under Buxi Jagabandhu had deserted their beloved habitats in order not to cooperate with the British in collection of revenue. In his Report, Forrester had to say, “It has all along appeared to me extremely desirable that the Dalabeheras and their followers should be induced to return by …….. the prospect of a moderate settlement and a liberal consideration of their claim to jageers in future”. He had clearly confessed, “Since the breaking out of the insurrection, very few men of any consequence have ever been apprehended and it is to be feared that the nature of the country and disposition of the inhabitants will always present formidable obstacle to the suppression of these disturbances either by military or by police”. This was British field administration’s clear admission of defeat. Therefore, thereafter, they had to bring about a truce with Buxi Jagabandhu on 25 May 1825. But the fact remains that the British had to admit defeat before Buxi Jagabandhu on 9 September 1818 and to take about seven years to draft its truce with him that was given effect to on 25 May 1825. This splendid victory of Orissa, particularly of Buxi Jagabandhu over the British empire has not been projected in history because of the envious motive of non-Oriya history writers. But Jagabandhu’s method of defeating the British has shaped the victorious phase of Indian struggle for freedom under Gandhiji’s leadership. Gandhiji has not said that Buxi Jagabandhu had shaped his movement of non-cooperation. Because he had not known of this. The idea of non-coperation first hit his ears in the All India Khilafat Conference on 24 November 1919 when he was presiding over it. In the preceding night, the Khilafat Committee had resolved not to cooperate with the British government. It was sure, if the people do not cooperate with the government it would collapse. The idea had gone to them from Muslims from Orissa. As said supra, Buxi Jagabandhu had made his movement an united movement of Hindus and Muslims against the British. Many of his Muslim comrades had sent shock waves into British administration. Many Muslims had been incarcerated and some had sacrificed their lives in Orissa’s battle against the British. As for example, Mir Haidar Ali was declared a fugitive rebel when in that condition he died (Commissioner Robert Ker’s report to W.B.Bayley, Secretary to Government in Judicial department, 14 december 1818). Buxi’s Muslim associates were so devoted to Orissa’s freedom that the Governor general of India had to put pressure on the Court to execute the punishment awarded to freedom fighters like Sardar Khan and Nasirulla ( Letter dated 1 january 1819 from Secretary to Government W.B.Bayley to W.Dorin, Registrar of the Nizamut Adalat). Such repressive steps of the British against the Muslims that had joined Buxi Jagabandhu as his associates in fight against the foreigners had taken the unprecedented tactics of non-cooperation to the greater horizon of Muslim brotherhood and the victory of the non-cooperation movement was taken note of with much interest. This unique experience therefore had inspired the Khilafat revolutionaries to resolve not to cooperate with the British as a new weapon of revolution. Hence, notwithstanding how silent is history on Orissa’s unique contribution to freedom of India, it is a historical reality that Buxi Jagabandhu is the father of non-cooperation movement, which adopted and used by Gandhiji, has helped us obtain our freedom from foreign yoke. But the present leadership of Orissa has not only desecrated the sacred house that bears the sacred memories of Buxi Jagabandhu, but also has robbed it of its most precious possession: his sword and armor. The Chief Minister must take to task his DCP and retrieve Buxi’s revered sword and armor and put them back on the place they were stolen from with due respect and honor. Naveen babu is clearly in offense against Orissa, but irreverence to Buxi Jagabandhu would be the last thing to be tolerated. If Orissa Legislative Assembly could not proceed with its business on February 21, the Government is squarely responsible for the same, says the Opposition. It is alleged that the government has shown no sincerity in complying with its assurance given in the all party meeting on February 18 to place details of Dal supply scam perpetrated in all the 30 districts. It was stressed upon by the Opposition that the Government, as per its promise, was to lay before the House all relevant papers regarding the conducted enquiry and expansion of enquiry into all the districts, as no fruitful discussion can commence sans the same. It is sad, the Opposition said, no criminal prosecution, as promised, against fellows involved with the scam, has begun. 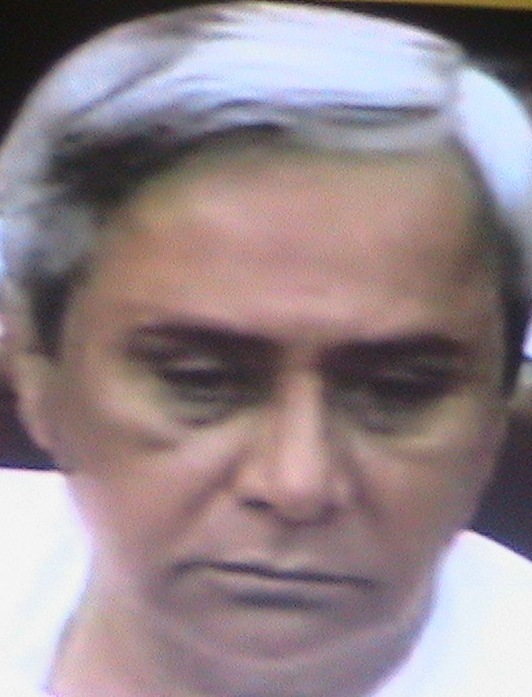 Even as Chief Minister Naveen Patnaik, who was directly blamed for backtracking was keeping mum over the issue, Parliamentary Affairs Minister Raghunath Mohanty refused to place the relevant papers, as to him the same cannot be tabled before the issue of adjournment pending in the matter was taken up by the House. This thwarted the House into pandaemonium and to repeated adjournments and finally to end the day with an all party meeting called afresh to solve the problem ending inconclusive. Dhenkanal based Indian Institute of Mass Communication has sent a seven member team of students to cover Canfest, a national theatre festival organized by Canmass at Paradeep from February 19 to 28. Here below is their first report. Folk theatre (jatra) was revived by a scintillating performance of Karnabadha by Sanskruti Vihar in Canfest 2011. Based on the epic Mahabharat, the gitee natya, written by Ganakabi Baishnab Pani, chronicles the sixteenth day of the war. The group which includes a number of advocates, tried to highlight the ancient culture of Odisha. The story showcases a passage from Mahabharat where Draupadi requests the Pandavas to avenge her dishonor. A furious war ensues and Bhima kills Dushashan. The gitee natya’s plot proceeds to the death of Karna at Arjun’s hands. Written in the late 1980s, the drama was directed by Narayan Singh and music provided by Chandra Shekar Mishra. Girija Shankar Panda, an advocate from Odisha High Court who played the part of Dushashan commented that it is a challenge to communicate complex emotions through dance and music. The age-old story received a fresh look, as humor was added in the cameo by Chetana Mallik and Kumari Pinky in order to make the play interesting for one and all. T K Sethi, a member of the audience and an employee of Odisha Police enjoys this form of theatre so greatly that he took special leave to attend the program. The 18 year old dancer, Somjeet Sethi’s talent was appreciated by the spectators. With technological advancement, folk theatre faces a threat from mainstream media and to overcome this handicap, the group made an effective use of light, sound and music effects. The intention of the director was to revive and advance the traditional culture of Odisha through drama. Sanskruti Vihar Cuttack, established in 1963 has performed in Agra, Delhi, Bangalore and Mumbai and has won National awards for acting and dance. Eminent Editors in solidarity with Media Unity for freedom of Press met on Saturday ( 19.02.1011 ) as per previous program. This was the first meeting of MUFP’s Media Advisory Panel. While approving the White Paper, the MAP comprising the editors of newspapers and heads of news channels unanimously resolved to take up the issues relating to attack on the media at the appropriate level and to ensure that neither the Government nor any other agency nor individual would be allowed to take the media for a ride and all the attackers shall be brought to books without further delay. The Council resolved to take up all issues of physical assault on media men on duty and use of tactics of intimidation such as threatening and implication in concocted cases to cripple their free functioning. However, any physical involvement of any journalist in any tangle other than media related matters may not be considered in the category of attack on Press, the Editors felt. Soumya Ranjan Patnaik( Editor, Sambad), Samahit Bal (Editor, Pragativadi), Tathagat Satpathy ( Editor, Dharitri), Promod Kumar Moahapatra ( Acting Editor, Samaj), Ashok Mohapatra (Head of Micro Broadcasting [MBC TV] ), Soumyajit Patnaik (Chief Editor, OTV) and Satkadi Hota (Editor, Samaya) participated in the deliberations coordinated by Prasanta Patnaik on behalf of MUFP. It is a matter of deep distress that the State Government has not been able to extricate Malkangiri Collector R.Vineel Krishna and Kudu-mulu-gumma Block J.E. 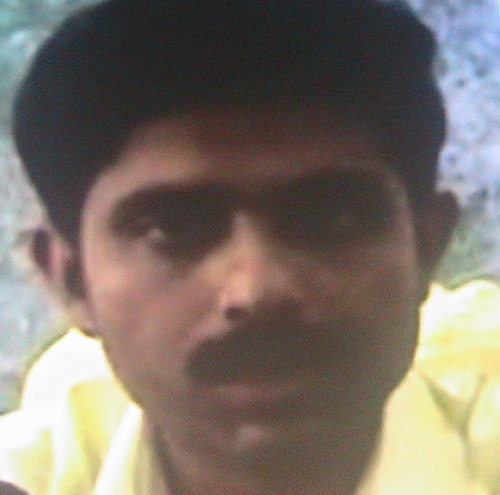 Pabitra Majhi from abduction even though the deadline fixed and extended by “suspected Maoists”, has passed away. If the abduction is not a drama, (to divert public attention, as alleged first by BJP, from slow-poisoning of the school going children and pregnant women through contaminated split-pulses fed to them by the government) but is real, the government servants should learn their lesson from this sordid event. They know that the Maoists would not have gained any ground if administration could have saved the people from exploitation and poverty. Because of pro-profiteer political economy that the government is engaged in, middlemen and swindlers of public money have mushroomed in every nook and corner of the State and the landless workers and marginal farmers who constitute the majority of the citizenry are perishing below the poverty-line, when welfare funds are being hijacked by suppliers and contractors in nexus with politicians in power and executives in the field. In a society, in every age, when most tortured people grow pusillanimous, the conscious ones, notwithstanding how small in strength are they, take up the cause of the oppressed majority and emerge as the voice of the voiceless. Exploiters take them as their class enemies and use every harsh method to suppress them. This gives birth to political militancy. 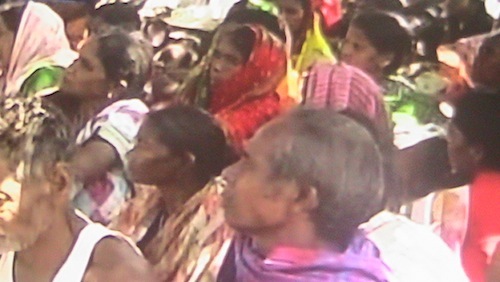 Maoists are militant voice of the voiceless people. Hence the exploitive state sees Maoists in every signature of protest against oppression and exploitation. But, though this wrong is programed by pro-rich political packs in power, some of the government servants mindlessly perpetrate it against innocent Indians who want end of perpetual exploitation. In different parts of Orissa the general public has been protesting against false linking of ignorant people, particularly tribals, to Maoists activism and harassing them by arbitrary arrests, by fabricated criminal cases, by annihilation through fake encounters etc, etc. It is so true that no official functionary has yet denied the allegations. No doubt, torturing ignorant people in the name of tackling Maoist violence is illegal. These illegalities are executed by government servants eager to please political bosses. This is destroying the faith of the people in the government servants. Might be, Vineel Krishna is a dynamic officer with commitment to welfare programs as the government of Orissa is claiming and as the protest rallies led presently by top bureaucrats in places under their respective jurisdictions are projecting. But generally the government servants are viewed as swindlers of public money and stooges of the exploiters. All over the state, welfare funds are looted by profit-fetchers and middlemen in nexus with officers and patronized by politicians in power. Even peons and watchmen under this government have become men of millions as occasional vigilance raids have unveiled. As the number of suicide by farmers and selling of babies by mothers is rising, so also the number of billionaires in Orissa. This contradiction is caused by government servants’ total apathy to wretchedly poor people on one hand and on the other, complete surrender to political bosses. They ought to know that the people pay for their salaries and pension because thereby they are given the strength and stability to stay free from political influence, which, even the constitution makers were afraid, would be illicit and corrupt. They ought to know that indigenous people have more right on their soil and water and on their living environment than the industrialists coming from outside. They ought to understand that politicians in power by inheritance or machinations, mostly commission agents, occupied in political economy of capitalism, would always try to keep the common man intimidated by State-power so that they cannot dare to raise their protests against displacement as and when industry and commerce would need their land and living environment. They ought to know that tolerance has a limit as fear for State-power has a termination point. 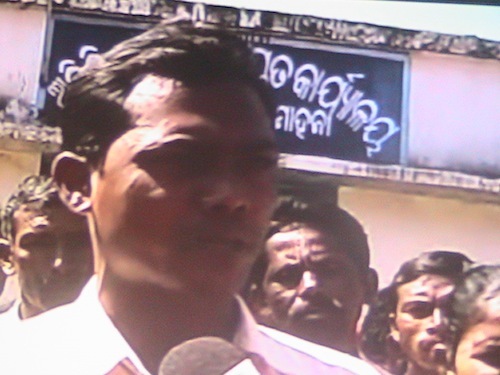 If abduction of Malkangiri Collector is not a drama but a reality, its reason should be studied in this light. Government servants should better try to learn the lesson from this event. The development we are watching since the alleged abduction of Malkangiri Collector is that a tremendous truce has surprisingly been arrived at amongst the three bitter political rivals in Orissa: the BJD, the Congress and the BJP. They are one in castigating the maoists for the abduction even though the news of abduction by Maoists is based entirely on unverified allegations. Active leftists were described as left-viruses by Prime Minister Man Mohan Singh. This being the mindset of their high command, it was essential for Orissa congress leaders to be one with Chief Minister Naveen Patnaik in his game against the Maoists, which is why, perhaps, the truce has developed. BJP is by birth anti-Maoists. Hence, when, officers were seen busy in organizing and leading rallies against Maoists under guise of sympathy for the abducted employees, there was no reason for BJP to stay away, even though it was the party that had alleged that the abduction was a drama conceived and enacted by the CM and his team to divert public attention from the serious crime of feeding more than a crore of school-going children and pregnant women with poisoned split pulses. Thus, it is clear that the Collector’s alleged abduction is being politically used by the state government against Maoists in who it was seeing the greatest obstacle to displacement for industry and to swindling of welfare funds. It is better for government servants to stay away from this political game. People are paying for their salaries and they should work for the people. Even as we condemn every attempt to subject anybody to any brute force and sincerely wish Sri Vineel Krishna and Sri Maji safe extrication from the clutch of their abductors, we feel, by organizing and leading subordinate staff and primary school students and their teachers in street demonstrations against Maoists in the guise of voice for release of the abducted officers, the district / sub-division / tahsil / block level heads of administration have given the message that they belong to a class that stands for anarchy, not for removal of contradiction the alleged abduction attracts attention to. History has Egypt to show as the latest instance of what happens to misusers of power. Government servants should take note of it and desist from dancing to the tune of politicians in power, if they are honest and not in nexus with swindlers of public exchequer. Journalist and Media Consultant Ms. Teresa Rehman had a meeting with Assam Governor Sri J.B.Patnaik in the Raj Bhawan. Sri Patnaik has made a revolutionary change in Assam’s age-old tradition of disallowing entry of women into Vaishnavite monasteries. Teresa was felicitated recently at Bhubaneswar for having reported this. She is known for highlighting gender sensitive events. We are glad to share her impression on JB with our esteemed readers. Such a response was not unusual as Patnaik is credited to breaking a long-established taboo — entry of women to a Vaishnavite monastery in Assam. He created a flutter by leading a group of women to the monastery and talks animatedly about the issue which is so close to his heart. He had succeeded in doing what leading women like former Prime Minister Indira Gandhi and literary stalwarts such as Amrita Pritam, Nabaneeta Deb Sen, and Mamoni Raisom Goswami failed to do. 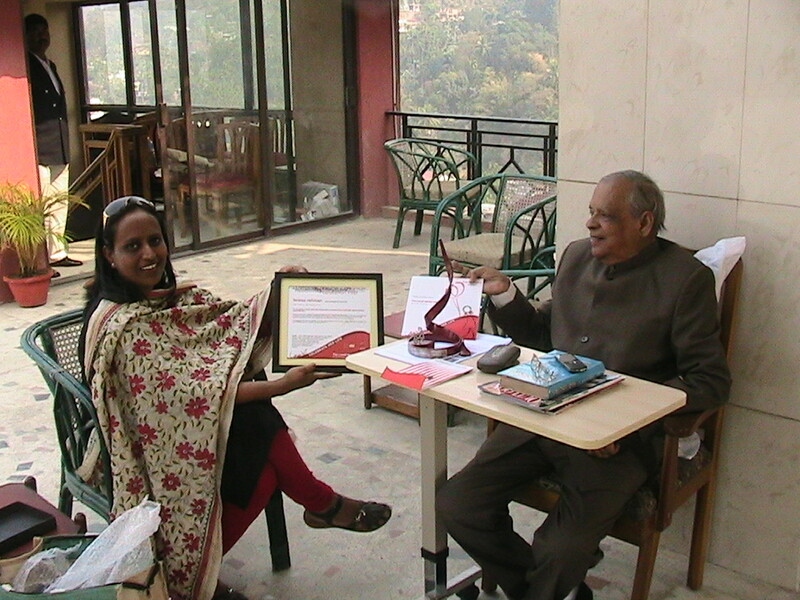 He invited me to the Raj Bhawan as soon as he got to know that I was awarded the Laadli Award for Gender sensitivity 2011 for writing on his initiative. With a progressive Governor at the helm of affairs, one can expect some revolutionary changes — at least of the deep-seated patriarchal mindset.